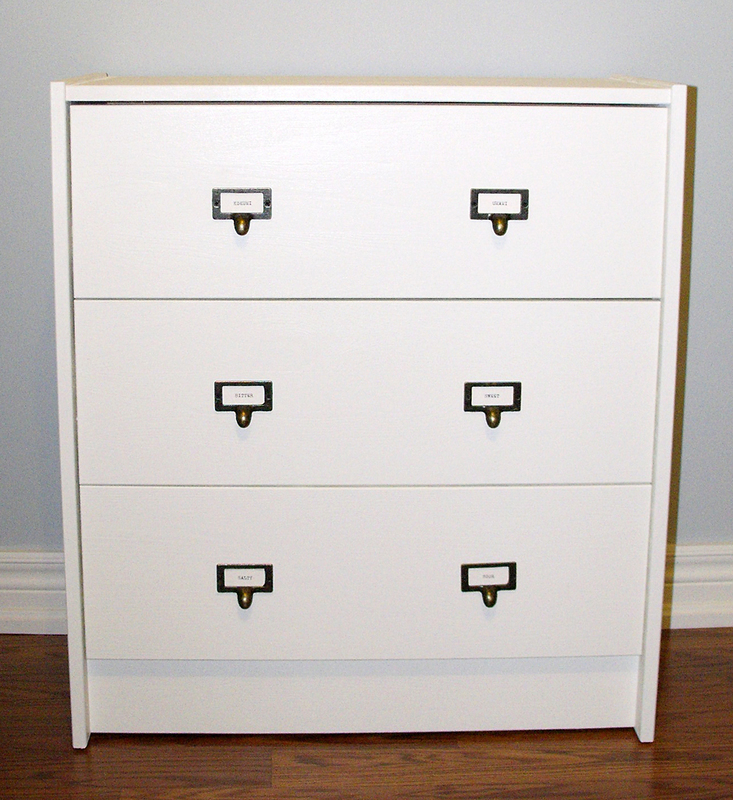 It never ceases to amaze me how much a fresh coat of paint, chic fabrics and tasteful hardware can do to a piece of furniture. 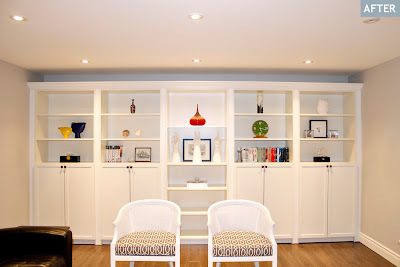 A critical success factor to a makeover is to always pick a quality piece with timeless style, and leave the rest to your imagination. 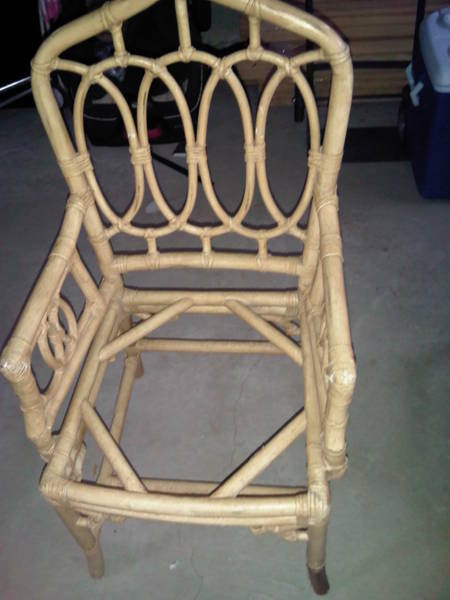 Below is a list of fixer-uppers I've done over the past two years. 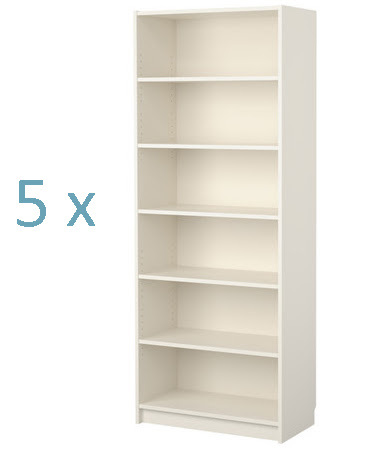 Ikea Billy Bookcase to Custom Built-in Unit: when I was handed a $10,000+ quote for a custom wall-to-wall built-in unit in our basement, I was determined to find a cheaper alternative. 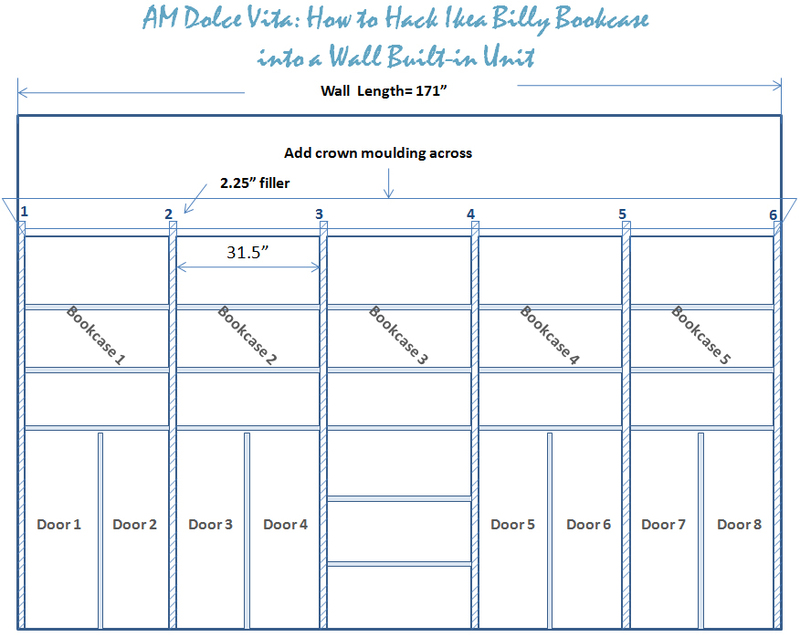 With 5 bookcases, 8 doors, a diagram and some math, I've hacked some everyday storage shelves into a sensational wall-to-wall built-in unit that screams custom work. You can read more about the transformation here. 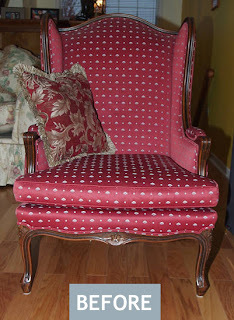 French Wing Chair Makeover: Gave a tired chair a new life by having it re-upholstered in a cream velvet fabric. You can read more about the transformation here. 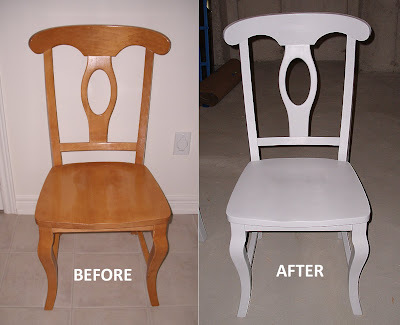 Antique Shield Back Dining Chairs: upcycled four 100-year old Lenoir shield back mahogany dining chairs with fresh coats of Benjamin Moore Cloud White paint and faux ostrich leather upholstery. Read more here. Antique Rocker Rocking Chair: updated an antique rocker chair with mini polka dot Ikat upholstery. Read more here. 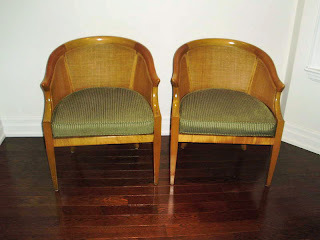 Vintage Cane-back Chairs: Updated a pair of "blah" cane chairs with fresh coats of spray paint, and chic fabric. Read more here. Hollywood Regency Faux Bamboo Chairs: Upcycled a pair of abandoned faux bamboo chairs with spray paint and vibrant fabric cushions. Read more here. 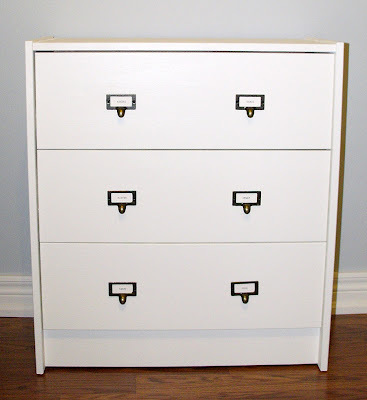 Ikea Rast Dresser Hacks: Added library chic to the Hack #1 by painting it white and adding label drawer pulls. Added a retro vibe to the Hack #2 by staining the frame walnut, painting the drawer panels white, and finishing with antique brass ring pulls. Read more here and here. 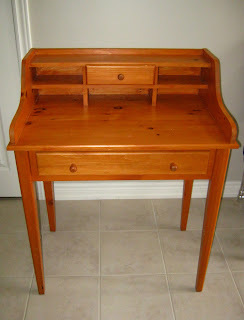 ﻿Antique Two-Tier Side Table: Transformed an ugly piece of furniture into chic and unique item. Read more here. Petite Secretary Desk Makeover: Antique white paint and oxidized pewter knobs are all it took to bring this petite secretary desk up-to-date. Read more here. 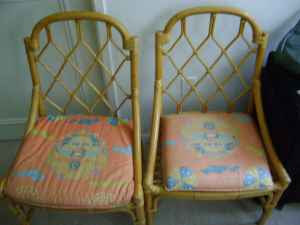 Bamboo Chippendale Chinoiserie Chairs: Gave the glory back to these Hollywood Regency Chinoiserie Bamboo Chairs. 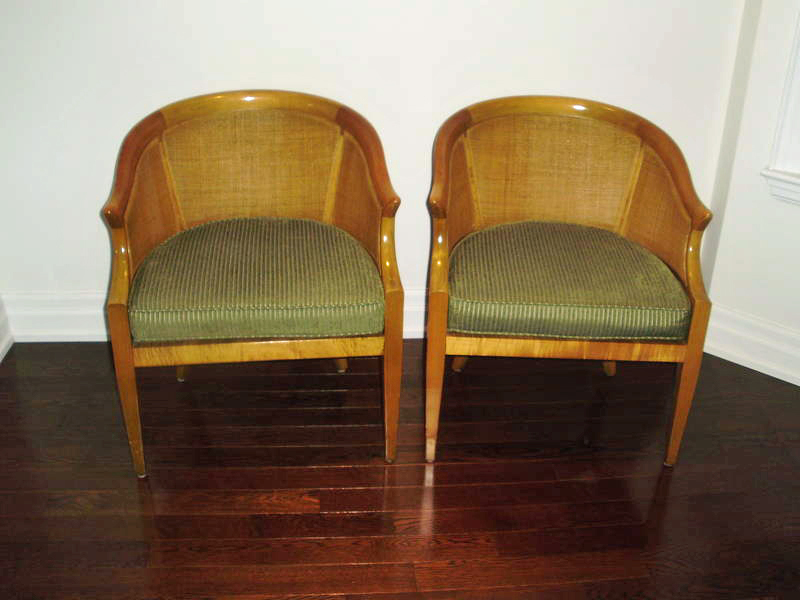 Maple Napoleon Dining Chairs: Read more here. 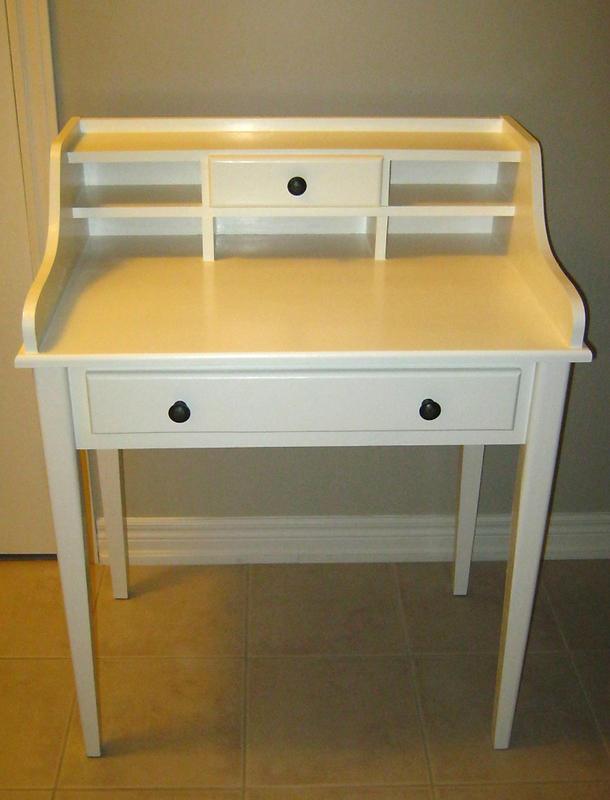 Ikea Malma Mirror Hack: Read more here.